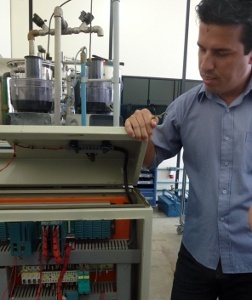 The branch of the largest professional education complex in Latin America, Servico Nacional de Aprendizagem Industrial (SENAI), in Portuguese language for National Service for Industrial Training, provides students with a unique opportunity of learning and gaining practical experience on an actual process with their Yokogawa instrumented micro plants. "Yokogawa is not just providing the products, but also providing all the necessary training and knowledge", said, Mr. Jean Barbosa Cavalcante, the leader and manager of SENAI Alagoas (SENAI-AL). 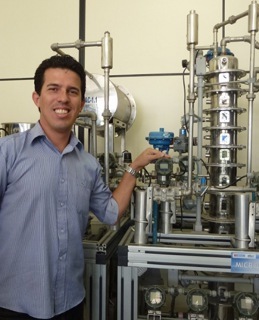 SENAI, a non-profit educational institution in Brazil, provides the research, training, and education for engineers in various industrial areas such as sugar based energy, oil and gas, automobile, and more. Funded in the 1940s by National Confederation of Industry Systems (CNI) and Federation of Industries of the States, it is now the largest professional education complex in Latin America supporting 28 industrial areas and offering approximately 3,000 courses. Leader and manager of SENAI-AL in front of micro ethanol distillery plant. SENAI-AL, a branch of SENAI located in the capital city Maceio in Alagoas State, provides the research, calibration and inspection work to the Alagoas industry. Through those services, SENAI-AL manufactures scaled down versions of actual plants - called micro plants. Thanks to micro plants, students can experience an actual process in the same way they would in a real plant. For students, this is a practical and effective way to augment learning because they "see and feel" the actual process, which is something they cannot experience by using process simulation alone. 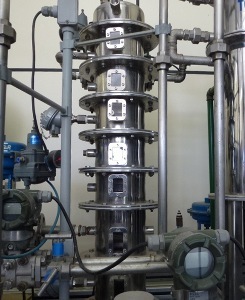 The first micro plant in SENAI-AL is an ethanol distillery plant, which is one of main industries in Maceio. 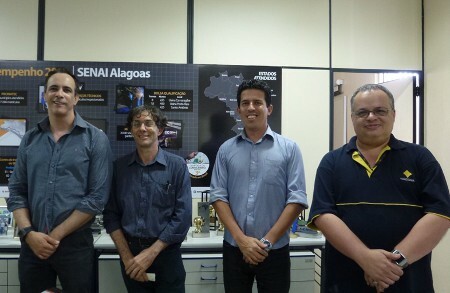 Since 2008, Yokogawa America do Sul Ltda has worked together with SENAI-AL for instrumentation of micro plants by providing not just the Yokogawa’s transmitters, flow meters, and PLCs, but also helping them in training. SENAI-AL now delivers micro plants to other universities and research institutes all over Brazil with the purpose of education and research. 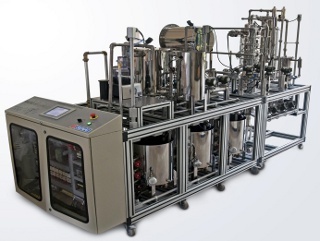 With the ethanol distillery micro plants, students are learning hands-on temperature, pressure, level and flow measurement as well as feedback control. SENAI-AL selected Yokogawa to provide the training kits because of the long-term stability and low maintenance requirements of its instruments as well as for Yokogawa’s ability to provide basic process knowledge training, and additional digital technologies. In addition, Yokogawa provides consistent service from field instruments to system with SENAI-AL. The micro plants are contributing to increase the number and competency level of industrial automation engineers all over Brazil. 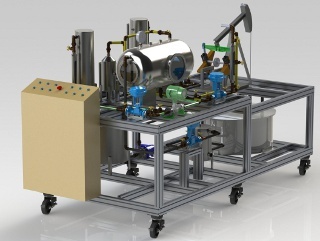 When students learn pressure control, it is essential that they use accurate devices; however, the periodic inspections are not required for training kits from a regulation point of view, so that recalibration of the devices can be forgotten for a long time. Yokogawa’s unique silicon resonant sensor guarantees the long-term stability while extending calibration intervals. Less maintenance is a crucial element for the training kits. 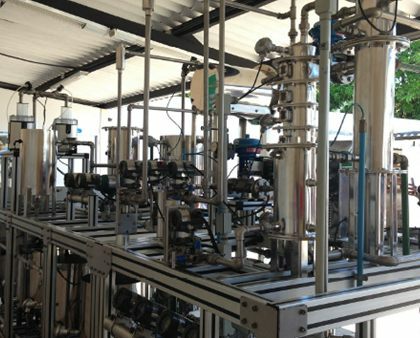 Students who learned the process with micro plant are dispersed to all over Brazil in charge of engineering, operations, and maintenance of the plants, which have multi-vendor instrumentation. For this reason, it is important to learn the standardized engineering languages and process knowledge, which can be adapted to multi-vendor solutions. Yokogawa STARDOM PLC used on micro plants supports five languages of PLC international standard languages IEC61131-3: Ladder diagram (LD), Function Block Diagram (FBD), Structured Text (ST), Instruction List (IL) and Sequential Function Chart (SFC). Students can learn each language and program the application using the suitable language. In addition, STARDOM has the process automation libraries accumulated in the Yokogawa’s long DCS history. 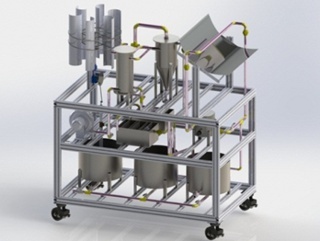 The students easily make the field-proven feedback control by combining those libraries, and learn the basic PID tuning and alarm handling while confirming the actual micro plant process. To be competitive internationally in manufacturing, it is important to keep learning new technology trends. Many process industries are now employing field digital communications due to the benefits of higher accuracy, multi variable, asset management and more. However, it requires training and knowledge to use those digital communications. Yokogawa’s instrumentation used for micro plants employs all the process digital communications, such as HART, Profibus and FOUNDATION™ fieldbus. Students learn the digital communications using Yokogawa’s field devices from the installation to the maintenance stage while enjoying the benefit of digital communications. Now SENAI-AL is expanding their micro plants line-up to the main industries in Brazil, including oil & gas upstream and renewable energies to train engineers in these fields. The engineers improve their skills before working at the actual facilities. SENAI-AL has many awards from various associations for its innovative micro plants. "We have a good relationship with Yokogawa, they are not just providing the products, but also providing all the necessary training and knowledge. Yokogawa products encompass the leading-edge technologies including all digital communication on the top of the well-experienced process control and they are the best for our micro plants. We believe the graduates play the main role in the Brazil industry after learning the process control using the micro plants. ", Mr. Marcelo de Souza Carvalho and Ademir Aiton Oliveira, creators of the projects commented.